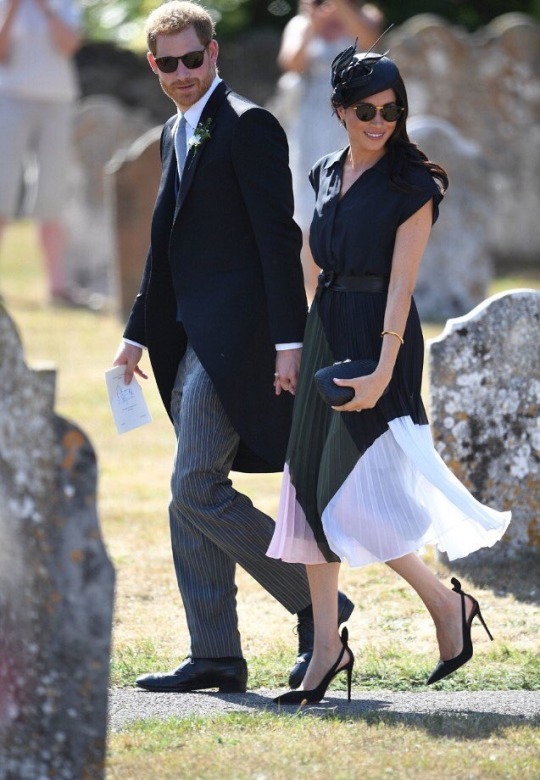 Meghan Markle and Prince Harry attended a wedding in Sussex, this weekend and the beautiful Duchess of the county looked elegant in a Club Monaco Shoanah black, pink, and white dress, accessorizing with Aquazzura Deneuve shoes, a Philip Treacy hat, and a Kayu Anna clutch. The unique dress features a pleated colorblock finish and belted waistband. I love Harry and Meghan.